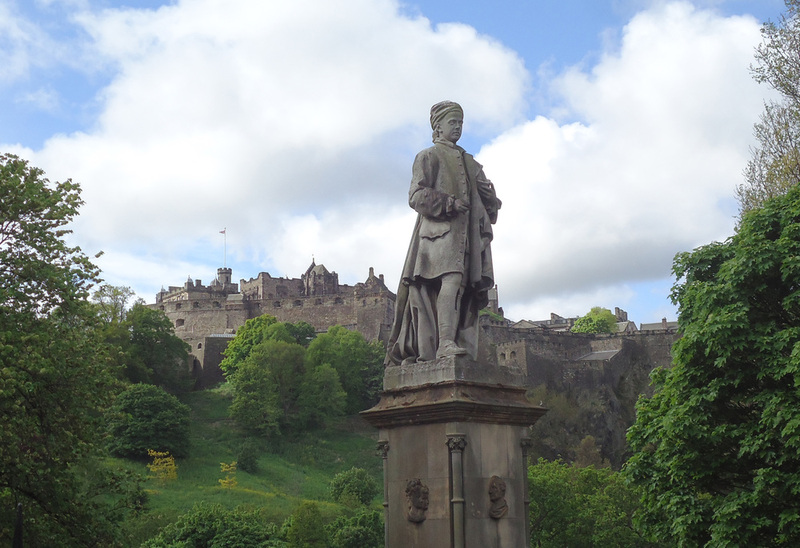 I spent my last night in Scotland in Stirling and visited Stirling Castle as my last stop on the way to the airport. 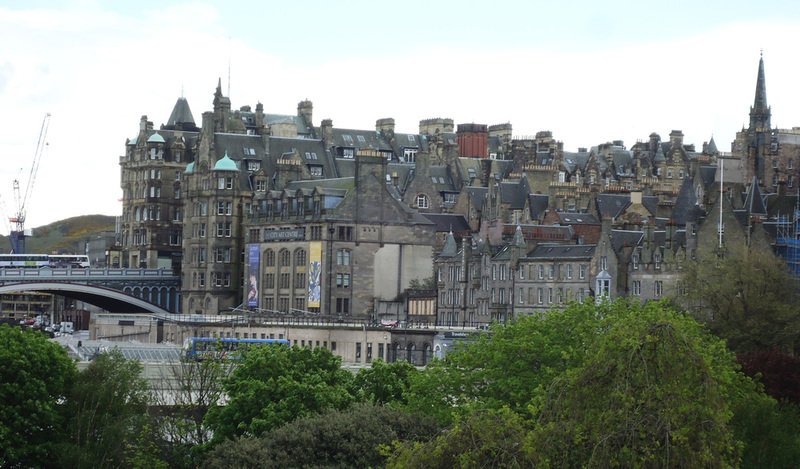 Between this castle and Edinburgh Castle I feel like we saw a lot of the life of the Kings and Queens of Scotland. 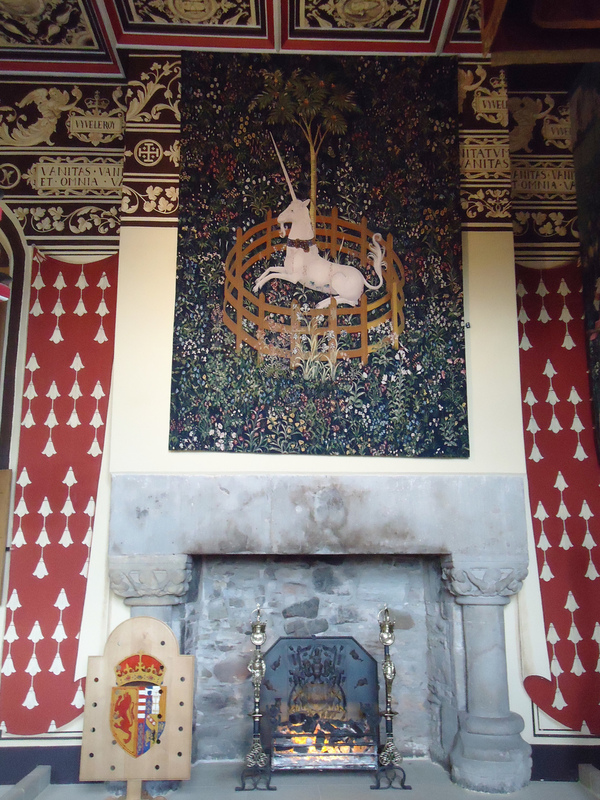 I saw this famous unicorn tapestry pop up a few weeks earlier in Hogwarts castle at the Wizarding World of Harry Potter in Orlando. I am using "the Highlands" to describe our trip north on the train from Edinburgh to Inverness. I rented a car in Inverness and we went east on the malt whiskey trail and then south to Loch Ness and Glencoe. I've always wanted to go here! 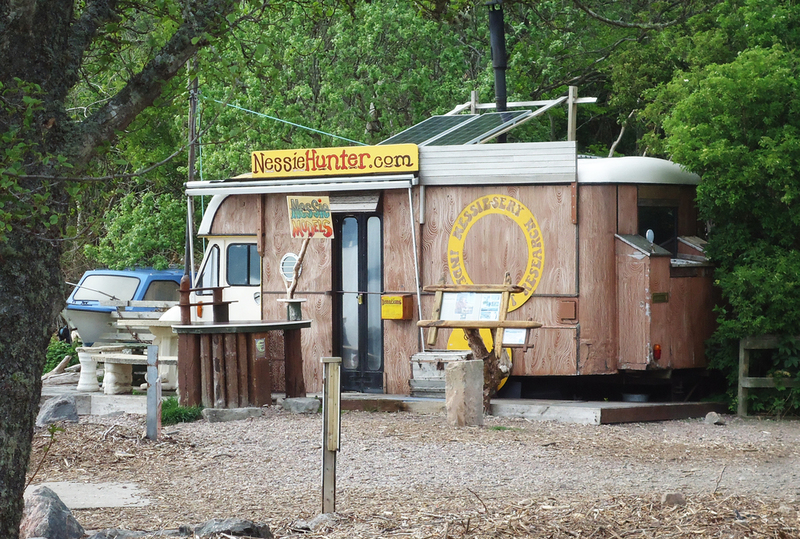 We had a tremendous dinner at the Dores Inn and had a drive around the Loch looking for Nessie. Does that photo above show something popping out of the water?? We headed east and visited the distilleries of Glenlivet, Glenfiddich, and Glen Grant. The images above were from the Glen Grant - which was 1) the only distillery that let us take photos 2) Also has the absolute gorgeous garden 3) is the lightest scotch (best selling in Italy) and my favorite one that I sampled. Drop dead gorgeous views, mountains, moors, streams, waterfalls... every curve of the road more beautiful, hard to concentrate on my staying on the left. As we passed through the area - we stopped in Fort William for lunch on Loch Linnhe and also to go up in the gondola to see Ben Nevis, Britain's largest mountain. It was June and it was snow covered as you can see here. We did experience all the seasons in about 20 minutes in Edinburgh.... on our way out of the Jolly Judge Pub it was clear and sunny... about one block down the royal mile it was pouring on us... one block later it was the largest hail storm I've ever found myself in (ping pong ball size), ten more minutes by the time we made it to the Scottish National Gallery it was sunny again! In addition to the Royal Mile and the great works of art in the gallery we also visited the Edinburgh Castle which was the highlight of the day. Also great meals at Spanish and French restaurant and a posh hotel experience at the Royal Scots Club.